A great place to bring the whole family, lots of planned activities & fun things to do! 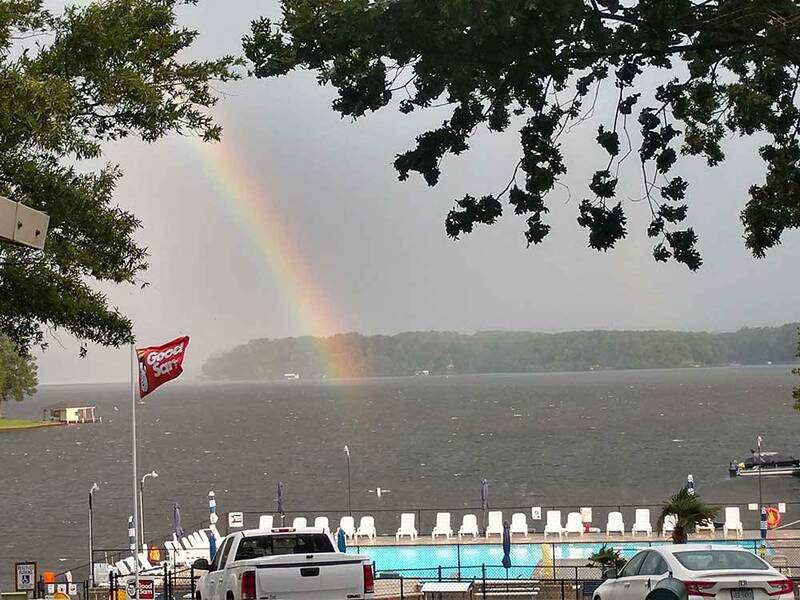 Bring your boat & fishing gear to enjoy Lake Gaston, a 35-mile stocked lake. We have group facilities and an adult activity center. When I called to make reservations for two sites the lady on the phone asked all of the right questions which included if we were camping in a tent, trailer, or pop up. I told her that there would be one pop up and one travel trailer. With excitement she told me she had lake front spots and wanted to know if I wanted both of the sites. Of course I would love lake front sites I thought to myself. Since I was booking last minute I asked if the site would accommodate our campers. She assured me they would and we started the reservation process. When we arrived the nice man who was responsible for taking us to our site told us we might need to move to a different location because of the site conditions. Well this was an understatement!!!! The sites had very large roots and there was NO way we were going to get our camper in the spots without blowing a tire or two. We were very disappointed and had to move to location between permanent campers. The reservation staff should know better and the owners of this location need to work on their camping spots. 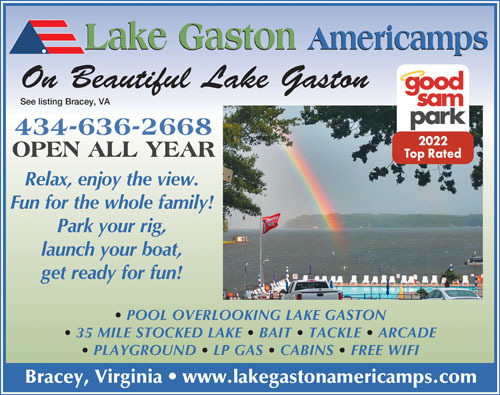 I would NOT suggest that people camp at this facility which is too bad because Gaston Lake is a very nice location. We stopped for an overnight at this campground and it was early in the year, so not a lot going on. You can tell that during the busy season this would just be a super fun place to stay. They have lots of scheduled activities and a ton of recreation for kids and adults. If you have kids, they would keep busy for sure! They have a pool that overlooks the lake and it's just a really nice set up there. They have large, very clean restrooms and shower houses and the laundry room was clean too. The people working there were all very nice and the store had plenty of things to buy in the event you forgot something at home. I wish we had been thru during the summer season and had more time to stay here. They are pet friendly, but if you bring your dog, make sure you have your updated rabies certificate with you because they do request a copy of it. We are full time RVers with a 40' 5th wheel.